Mrs. Okonjo-Iweala’s husband, Ikemba Iweala, and their son, Uchechi Iweala, are teaming up to establish the Capital Health and Surgical Care Center in Abuja. Both men, who are medical doctors, will serve as chairman of the board and medical director respectively at the medical facility described as state of the art. The hospital was originally to be formally opened last June by former President Goodluck Jonathan, on the assumption that he would be reelected. Mr. Jonathan’s defeat froze the idea. Information available on the hospital’s website, http://www.chscnigeria.com/home/page?id=Press, states that the hospital “is conceived to improvetertiary-level healthcare delivery in Nigeria and Greater West Africa by providing top-rate service of international standard.” The hospital, which has been quietly under construction and development in the last three years, is equipped with 50 beds, three operating rooms, Magnetic Resonance Imaging (MRI), and CT scan. The undisclosed financiers of the project apparently spared no expense in conceiving the project. The project’s architectural design was undertaken by Perkins + Will Global (http://perkinswill.com), a major player in the world’s architectural scene. The firm is based in Washington, DC with offices in more than 24 countries all over the world. The firm of architects has designed various multi-billion dollar projects in the US, Asia, Europe, the Middle East, and Latin America. The hospital’s interior design was done by Perkins + Will/DAR Group. Another US-based multinational company, General Electric, handled the hospital’s technological equipment and infrastructure. The project does not list any indigenous Nigerian company as being involved in the conception or execution of any aspect of the hospital. 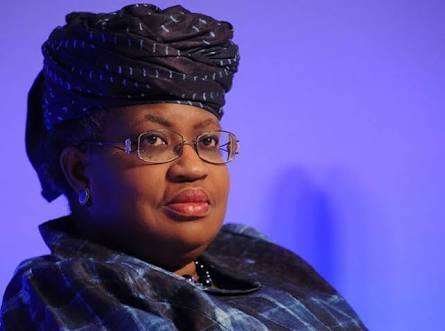 While the hospital’s website does not provide any cost estimate, two sources familiar with the project claimed that the Iweala’s hospital cost between$100 and $150 million.